The Slovenian professional basketball star Luka Dončić has fought his way to the limelight following his top-notch performance at the 2018 EuroLeague Championship. He is currently playing in the position of a small forward and point guard for the Dallas Mavericks of the NBA. Dončić is also part of the Slovenian Senior Basketball Team that won the EuroBasket in 2017. He has distinguished himself as an above average player who can compete in any given sphere of competition; thanks to his exceptional playmaking abilities. Prior to his NBA career, Dončić played professionally for Real Madrid Baloncesto club of the Spanish Basketball League. He recorded his breakout season in 2018 after leading the team to clinch victory at the 2018 EuroLeague Championship. He received numerous awards for his remarkable performance including the EuroLeague MVP, and Liga ACB MVP. In addition, he is a two-time EuroLeague Rising Star Award winner, three-time ACB Champion, and two-time ACB Best Young Player of the Year. Luka Dončić was born in Ljubljana, Slovenia on February 28, 1999. His father, Sasa Dončić, is a former basketball player and currently a coach at the Slovenian League while his mother is a former model, dancer, and athlete who currently run a beauty salon in Ljubljana. He holds Slovenian nationality and is of mixed ethnicity – his father is of Serbian ethnic descent. Dončić started playing basketball when he was seven years old; he got inspired by his father who played for the Slovenian national team at the time. Starting his career at the age of eight, Dončić played with Olimpija’s under-12 team and in 2011; he was part of the under-14 team that participated in the Vasas Intesa Sanpaolo Cup in Budapest. Although his team finished second behind FC Barcelona; Dončić was named the MVP of the tournament. Later on, he was loaned to Real Madrid club for the Minicopa Endesa in 2012. He won the MVP of the competition after leading in scores with 34.5 points per game. He also had 3.3 steal, 2.8 assists, and 4.0 rebounds per game. Dončić signed a five-year contract with Real Madrid in September 2012. At the time, he was just thirteen years old. Dončić moved to Spain with his mother and the following year; he led Madrid to win the under-16 Spain Championship after their triumph over FC Barcelona. He averaged 6 steals, 13 rebounds, 4 assists, and 24.5 points per game to win the MVP of the competition. During the 2014/15 season, Dončić played with Real Madrid under-18 team as well as their reserve team. He led the team to win Spanish basketball fourth division league Liga EBA. In the same year, he also led the team to win the Next Generation Tournament where he was named the MVP. Luka Dončić became a pro in 2015 when he was named to the Real Madrid squad for the Liga ACB which is the top tier of the Spanish League. He made his first professional appearance at the age of 16; thus, becoming the third youngest player to debut in the league. He played three seasons for Real Madrid, winning the EuroLeague Rising Star Award in 2017 and 2018. Dončić also won the Liga ACB Championship title three times, EuroLeague Championship, as well as the Spanish King’s Cup twice. He won the MVP in the EuroLeague championship. At the end of the 2018 season, Luka Dončić was regarded the number one prospect for the NBA draft of 2018. He was later selected by the Atlanta Hawks as the third overall pick in the first round of the draft. He was also traded immediately to the Dallas Mavericks in exchange for Trae Young and protected future first-round pick in 2019. The amazing basketball prodigy was born to Slovenian parents – Sasa Doncic (father) and his wife Mirijam Poterbin. His parents separated when he was eight years old and their divorce process was finalized in 2008. After their divorce, his mother Mirijam got both the custody and legal guardianship of her son. Meanwhile, Dončić’s mother is a former athlete, dancer, and model; she currently owns and operates a beauty salon in Ljubljana. She has always been with her son every step of the way; caring for him and giving him all the motherly affection he needs. 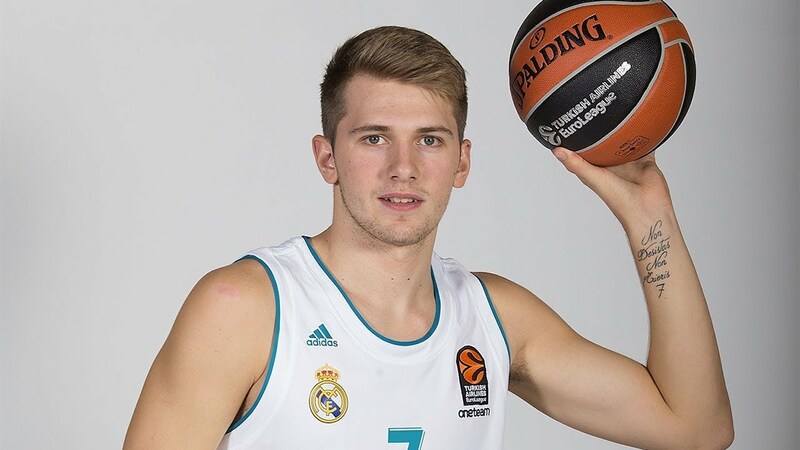 Furthermore, Luka’s move from Slovenia to join the Real Madrid basketball program in Spain when he was thirteen was a very tough decision to make between both Doncic and his mother. Nevertheless, that singular move became the best thing to have happened in his career life. It has helped shape Luka and align him for greatness; thus, taking him to the top of his career. He is undoubtedly a star to watch out for in the near future. While he advances to a higher stage in his journey to superstardom, Dončić has been in a relationship with a lingerie model Anamaria Goltes who has been modelling for a Slovenian Lingerie company called Lisca. Their relationship started in 2016 but just a few days to the NBA draft of 2018, rumours began to swirl that the lovebirds have parted ways. However, the rumours haven’t been confirmed by both parties. Dončić’s draft has been one of the most anticipated in the NBA and has kept the media abuzz for a long while, shifting attention away from his love life. We will keep you posted when we have verified information regarding his relationship. Luka Dončić has experienced the best seasons in his professional career outside the NBA. His wonderful physique, great balling skills, agility, and massive production at such a very young age take the credit for part of his success. Interestingly, his performance at the Euroleague has shown that the youngster can perform better than most players of his age. He is very tall, standing at a height of 6 feet 7 inches and weighs 220 pounds. He has light brown hair and green eyes.